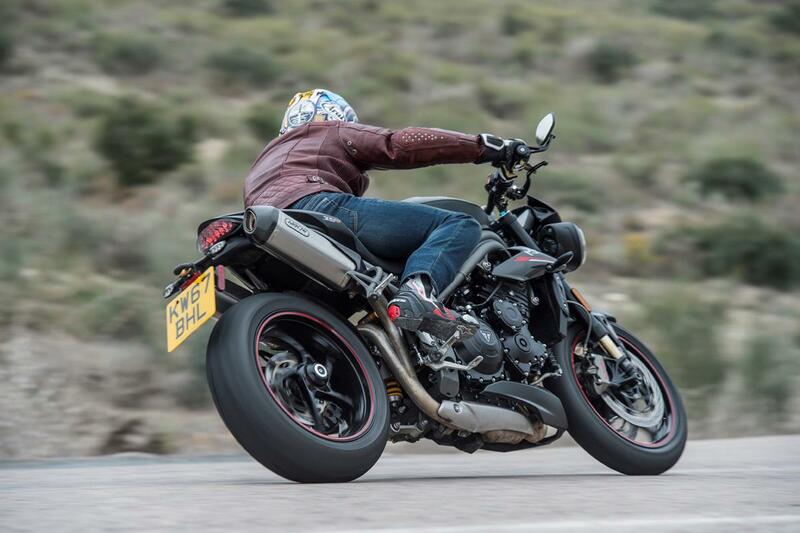 Triumph have upped the Speed Triple’s power and torque. The delivery is smooth and effortless, yet it still has enough rush to deliver, even for dedicated sportsbike fans. The handling is predictable, stable and easy going, while the ride is both sporty and comfortable. The riding aids are now on par with the competition, and welcome touches like cruise control and heated grips have further widened the bike’s appeal. It’s a naked, yes, but also an all-rounder capable of excelling on a daily commute and trackday alike. 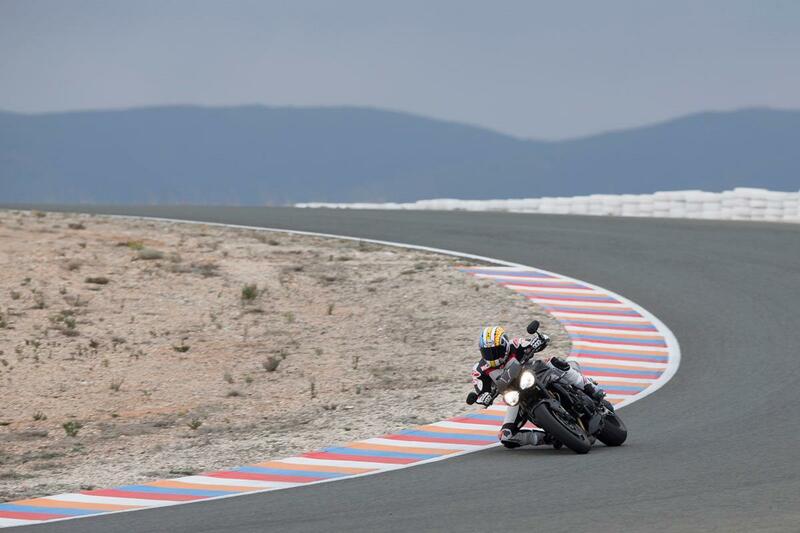 On track settings at track speeds, aggressive riding doesn’t faze the Speed Triple; it remains stable and compliant, yet the steering is precise and accurate. That ease-of-use shines through again. Even at a fast trackday pace ground clearance isn’t an issue, the strong Brembo stoppers are consistent and offer excellent feedback. It’s simple to ride briskly without it being manic or too intimidating, just like the old bike. On the road you’ll love the easy steering and undemanding nature of the chassis, but when you do want to push on the Triple is stable, predictable and confidence-inspiring. The Triple gives great feedback through its plush suspension, you can feel precisely what the Pirelli Supercorsa rubber is doing. This is a bike that flatters your riding – that is so simple and easy to ride, no matter the speed. Triumph have made 105 engine mods, resulting in 7% more peak power from a higher-revving three-cylinder engine. While peak power is up from 138bhp at 9500rpm to 148bhp at 10,500rpm, Triumph haven’t sacrificed driveability; they’ve also managed to increase peak torque by 4% (up from 82.6ftlb at 7850rpm to 86.3ftlb at 7150rpm) and moved that peak 700rpm lower in the rev range while making the torque curve much flatter too. The new engine bits include a lighter crankshaft with a revised profile, a new cylinder head and pistons, a lighter balancer shaft and a new sump while revised fuelling and a new free-flowing exhaust and lighter high-level Arrow silencers complete the tweaks. 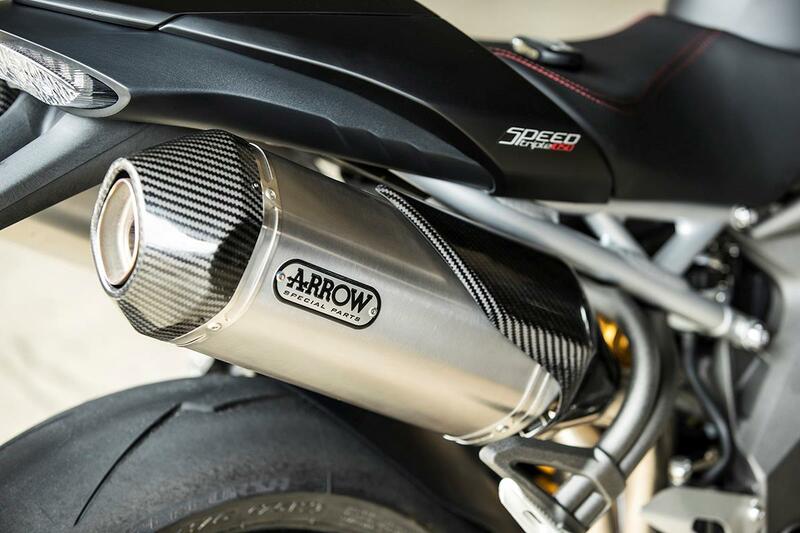 The Speed Triple is built with impressive attention to detail and top quality parts. The chassis is heavily based on the previous model, which hasn’t uncovered any horror stories. Priced just above £13,000, the new Speed Triple boasts a lot of technology for your money. 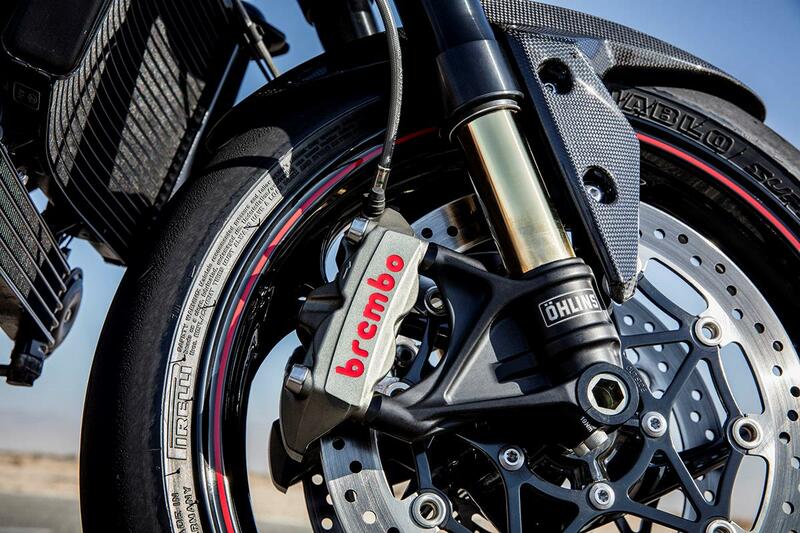 There are quality components, like fully-adjustable Öhlins suspension and Brembo radial brakes. But for that price I’d still expect an up-and-down quickshifter with auto-blipper as standard. For the first time the Speed Triple comes with an IMU, which allows both ABS and traction control to be angle-sensitive. 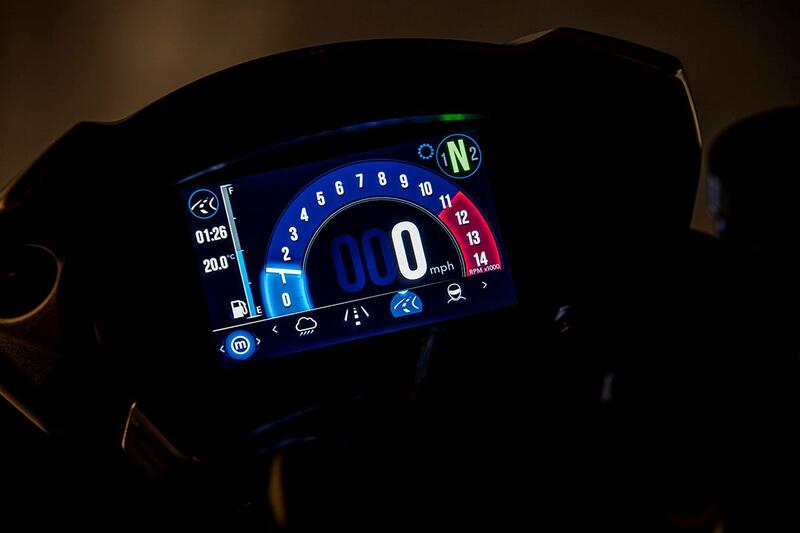 A 5-inch TFT colour dash also makes its debut alongside a choice of five different riding modes. 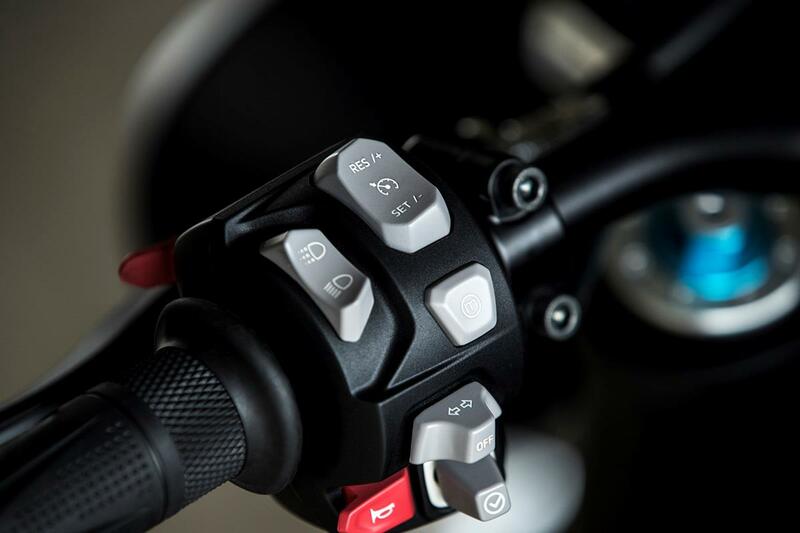 All-new backlit switchgear featuring a five-way joystick helps you navigate the new technology while other welcome additions include cruise control as standard, three-level heated grips and keyless ignition. Fully adjustable Öhlins suspension and Brembo radial brakes are identical the previous model. The S model shares the same engine and performance as the RS. It also shares the same chassis dimensions. However, the cheaper S model runs 43mm Showa USD forks and a fully adjustable Showa rear shock. Lower spec finish, and no Arrow exhausts. The base model only gets four riding modes, missing out on the Track mode. The biggest difference is electronic: the base model has no IMU and so only gets conventional ABS and TC. 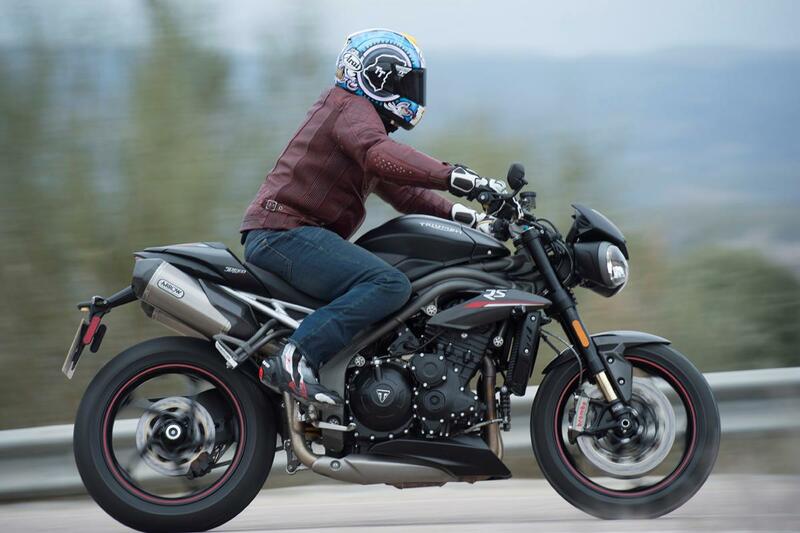 3 owners have reviewed their TRIUMPH SPEED TRIPLE 1050 RS (2018-on) and rated it in a number of areas. Read what they have to say and what they like and dislike about the bike below. Fun and easy to handle, great at keeping speed and momentum instead of constant speed revving. Great build quality and finish. Although, we don't get the heated grips in Canada, the bike comes equiped with quickshifter up-down/auto-blipper which works great. Breaks are great and cruise works perfect too. Great sound coming from that engine and Arrow exhaust. Obviously, Wind protection is not to be expected and can be annoying on windy days or when riding at highway speed and over. I've been using it as a commuter and weekend ride on highways and backroads and the bike feels great. Torque/powerband is available at any RPM. For my daily usage, i could ride it without using the 5th-6th gears. Breaks never feel like fading and are always responsive and the abs too (based on selected program... sports-track-rain-road-personnalised). Ohlins suspensions feels a little bit stiff under such a light bike but, then again, i not good at setting these right. Great all around bike. Sounds so awesome and aggressive, torque all over the powerband, lacks a bit of top end rush that we got used too with Japanese bikes... power delivery is linear. Everything's fine with it and I haven't observed any particular parts, area or mechanical/electrical features that might require particular attention or weakness. Bike comes with a keyless start and electronic lock... Hopefuly, it will be reliable and won't be troublesome if anything should happen with power or battery. Servicing the Triumph bike at the dealer cost way more than any other that I've owned before. But other than an oil change, as of now, the bike didn't need any other service (the triumph oil service cost like a 150$ at the dealer). In reasonable circumstances of use, fuel consumption is good. But, the tank only holds 15L of fuel. Great: TFT screen, Quickshifter up-down/autoblipper, cruise. Dislike: sensible tire pressure monitoring... shouldn't exist on any vehicle. For the price, the bike should come with radiator/oil cooler guards, sliders and paddock stand pins. Great power, handling, finish and looks. Heated grips and cruise control are the icing on the cake. Have not been able to get the feedback I'd like from the front tyre or the brakes yet, so fine tuning of the forks is required. I can sit on the bike for four hours before cramp sets in, there is not massive leg room, considering that you sit on the bike, more than in it. It is a naked so windblast is inevitible, however, it is completely turbulence free. Engine is great. Real world overtaking is a breeze, no drama or flashing lights from drivers as when you perform similar manouvers on a sports bike. Bundles of torque and fuelling is better than other bikes I've had. Build quality is excellent, lots of real carbon fibre and high quality plating everywhere. Only issue so far is an LED indicator that's misted up that I need to speak to seller about. 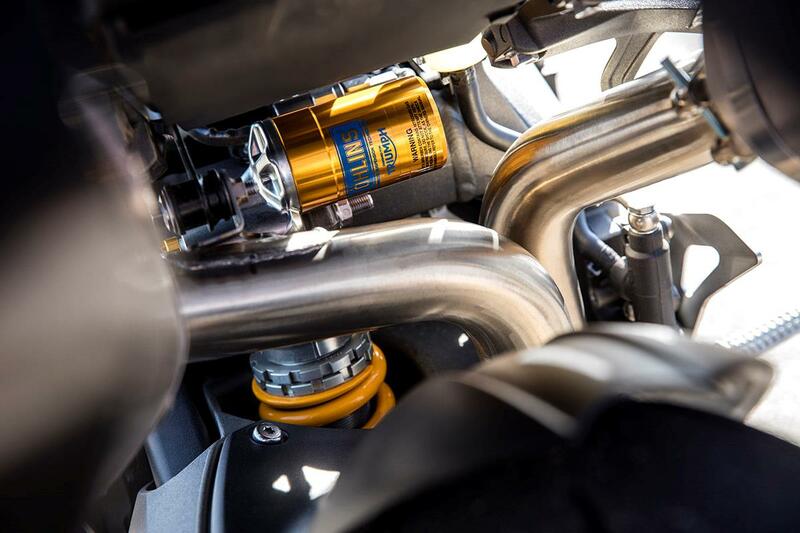 The ohlins suspension and arrow cans add to a quality package. Fuel consumpion of over 50mpg so far with a combination of routes, so no complaints there. Heated Grips and Cruise Control are great. Going to get the quickshifter. The OE tyres are good but I think something that gives more feedback would be good. I'm also going to get a fender extender and oil/rad guards. Triumph West Yorkshire were very helpful and gave me a great deal when I traded in my Explorer 1215 XRx. Highly recommended. One of the best riding bikes on the market. The only thing I'd say is could do with a bit bigger screen to tuck behind. I think they should do half price services no matter what dealer you got the bike from. The dealer was really good and would recommend.